Marilyn Jax - Author | The Find, a novel - available now. Private investigators Claire Caswell and Gaston “Guy” Lombard have cracked many high-profile cases in the past, but when Claire’s friend Charlotte dies in a mysterious car crash in Miami, things get personal. With the stakes higher than ever before and only a hunch to go on, the sleuths begin a painstaking investigation by scouring the wreckage, searching for evidence of foul play where there appears to be none. When they uncover a pattern of strikingly similar incidents—and a seemingly unrelated case becomes inexplicably linked—it is up to the investigators, with the help of their intern, Jin Ikeda, to unravel this bewildering mystery. What happened to Charlotte was no accident. And as Claire and Guy get closer to the truth, their snooping efforts turn deadly dangerous. 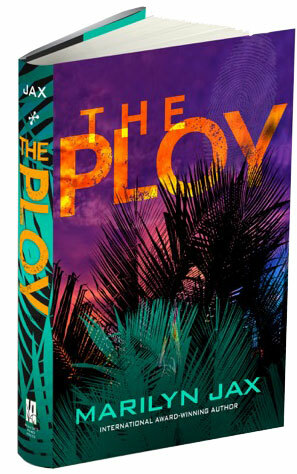 The Ploy is an enthralling whodunit that holds the reader captive with knotty twists and turns, suspects who are anything but what they seem, and answers that are just out of reach.